As companies near the end of their fiscal year, many are beginning to plan annual budgets or are considering their marketing and business development strategies for next year. For the majority of companies in financial services, events should have a substantial role in those marketing and business development strategies, but too few companies will truly develop an "Event Marketing Strategy", and even fewer will set quantifiable expectations around their event participation. Plenty of sales and marketing managers believe that they have an event marketing strategy, but more often than not, what they have are "tactics". When we call something a "strategy", we should have goals, expectations, and even beliefs that inform our strategic plan. We should also have metrics to set expectations and measure results - as well as the ability to message our strategy to team members so that activities are aligned with objectives. When a company waits for sales team members to raise the idea of attending or even hosting an event, too often, there is no strategic context to measure those "tactics" against. Therefore, it is important to articulate a strategy that can be used throughout the year for decision making and measurement. Plenty of sales and marketing managers believe that they have an event marketing strategy, but more often than not, what they have are "tactics". Function4 thinks a great deal about the process of building and executing an Event Marketing Strategy, and we have established some techniques and guidelines to help companies who are entering their planning cycles for the next year. What follows is a summary of Function4’s Guide to Building an Event Marketing Strategy, which firms can use before allocating budget to industry event activity. The full guide will be published on the Function4 blog over the upcoming weeks. Did the firm have the right Event Marketing Strategy for the year? With hindsight, what would the right strategy have looked like? 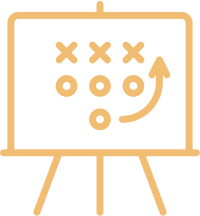 Learn from your peers, study best practices, brainstorm, and develop a better understanding of an effective Event Marketing Strategy and what expectations can look like. Without taking a strategic view of events, firms fall into the same bad habits and flawed assumptions – largely because they lack tools to: source the right events; build effective guest lists; and shape and measure event marketing activities. Most firms find it challenging to establish metrics related to event activity and performance, and they rarely take this step, which is necessary to create a plan that can fit in with overall marketing goals and measurement. Goals should be results and metrics based, consistent with the firm's overall marketing and business development plan. Events should be sourced broadly, and decisions to spend and attend should be held up against goals, expected outcomes and metrics. This can be a critical part of brand building, business development, and client servicing, but this should involve carefully curated guest lists and objective measurement of results. Collaboration is an effective technique for pooling resources and budgets while leveraging each other's networks and enhancing brand through affiliation with the right partners. Every Event Marketing Strategy should include a consideration of leveraging events to expand brand and sourcing and selecting sponsorship opportunities based on metrics and contribution to the overall marketing strategy. Results take many forms – which is often different than "measurement", and it is often important to track and understand how results fit together with sales CRM processes, follow up, and conversion. Using relevant metrics, all Event Marketing activity should be measured, including cost-per-outcome analysis and delta reports comparing to past performance, expectations, and goals. This allows reporting to senior management and evaluation.